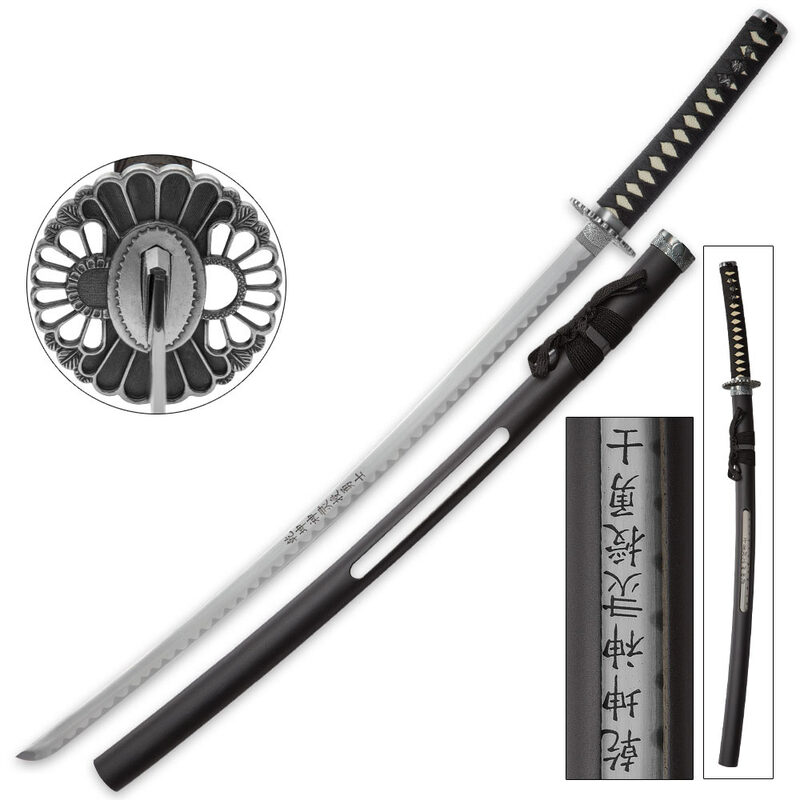 No katana collection is complete without this unique work of art with its specially designed saya, which has a window on both sides to display the symbols on its blade. 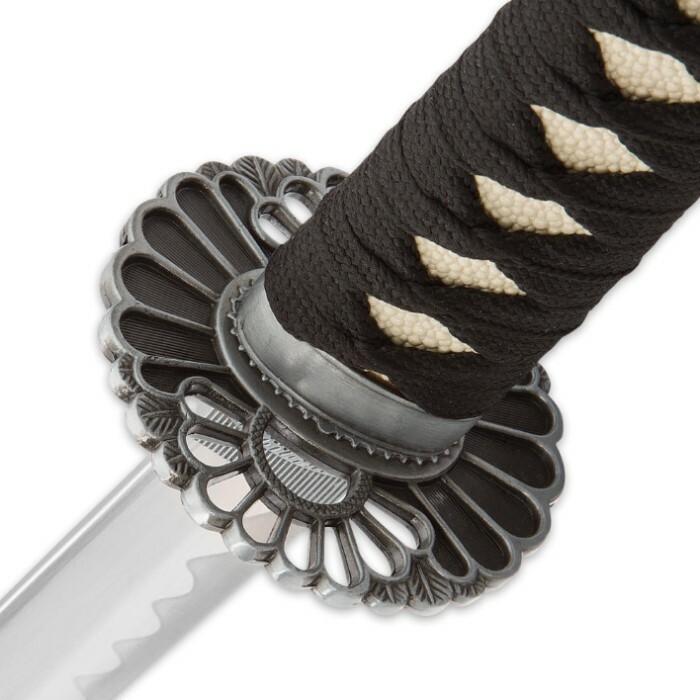 The symbols on the 27 1/2" stainless steel display edged blade translate as “Since ancient times to the present, God is with those who serve with dignity and honor.” In the process of creating the ideal custom katana, you will find the sword's detailed lotus flower themed cast metal tsuba and accents to be equally eye catching. 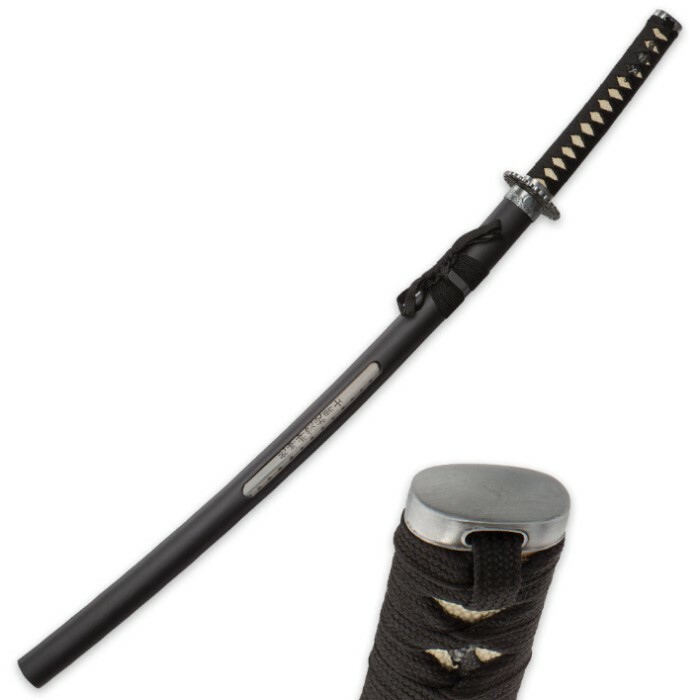 The traditionally cord-wrapped handle is wrapped in black cord and the custom saya is matte black, accented with the same black cord. I got this one on $10 Tuesday. Sign up for the emails if you haven't already! Awesome and beautiful sword.